You must sign into your myHangout account in order to contact revellfa. 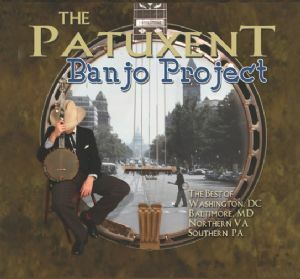 “The Patuxent Banjo Project” is a two disc set that brings together 40 of the best banjo players from Baltimore, MD, Washington D.C., Northern Virginia, and Southern Pennsylvania--many of whom have influenced each other throughout the years. The Baltimore-Washington Metropolitan area has long been a hub of Bluegrass Music. The CD brings together both well known stars and relatively obscure banjo players, and contains the work of three generations. The project covers original compositions like Casey Henry’s “Purple Creek” and old standards like “Cripple Creek.” The album comes with extensive linear and album notes. A three page introduction is included on the inside cover of the album. The set also includes a 40 page booklet which offers a short bio on each picker. As for the album itself it features Bluegrass legends (and Country Gentlemen Alumni) like Bill Emerson and Eddie Adcock. With legends like this participating in the album how could it be anything else but spectacular? The album covers the entire gamut for the banjo enthusiast. Nearly every style is represented from hard-driving traditional picking to chromatic to clawhammer and two-fingered style and other old-time styles. Russ Carson even provides a little bit of old-time fretless minstrel banjo on his contribution to the album entitled, “My Old Home in Baltimore” which, fittingly, is the last track on the album. The diversity of styles alone that are represented on this monumental album make it a must have for every student of the banjo. What better way to begin the album than with 2013 IBMA banjo player of the year Mike Mumford playing the lightening fast “Hot Burrito Breakdown.” If Mike’s lightening fast chromatic licks on “Hot Burrito Breakdown” “don’t make your hair stand up, you’re bound to be bald headed” as the late, great Don Reno was fond of saying. Paul Brown, a morning news anchor for NPR, provides a spirited version of “Cumberland Gap” in the Old-Time style. Randy Barrett (D.C. Bluegrass Union founder) plays a heartfelt rendition of the Don Stover tune, “Things in Life.” Randy’s masterful playing is accented by Mark Schatz’s fantastic bass solo. As for the recording itself the accompaniment on each track is tasteful and adds to the overall pleasure of the listening experience. The track selection and sequence works well for me and the mixing and the mastering is spot on. In short, this is a fantastic album—buy it! To think that this is but a sample of only some of the best banjo players in the area leaves me wanting more. Perhaps if we are lucky we will be getting another two disc set in the future. For now this album is more than enough to satisfy. Carbon Fiber Tone Ring Surprising Results! "The Black Pony" banjo is coming along! Long, long, long neck banjo is on the way! Two Banjos in Two Days! revellfa has 167 friends. View entire friends list. "Herc" My dad's 1932 Gibson TB-3 Original Archtop #271-16 with Ken Speirs Conversion Neck. "Pap's Ole Stella" circa 50s-60s Stella H927 survived a fire and is all original except tuners and bridge. Don Reno and Red Smiley and all the Tenessee Cut-Ups. Taught by my pa and my pap and have played since the age of seven. To preserve this heritage I play in a band that is kind of a family tribute band. I enjoy every moment of it. My dad played the banjo in the band until his death (even though he suffered from Alzheimer's Disease.) I play banjer (all styles) and guitar and tinker with everything else. I guess you could call me a collector. I've owned over 125 instruments including over a dozen pre-war Gibsons including four mastertone styles (1932 TB-3, 1927 PB-4, 1926 TB-4, and 1926 TB-3.) Lately I've also been tinkering with a little home recording.